One thing that comes to mind when thinking about early photography is probably the lack of smiles. Today we instinctively put a big grin on our faces when someone with the camera approaches, however it was rather uncommon in the early 1800’s. 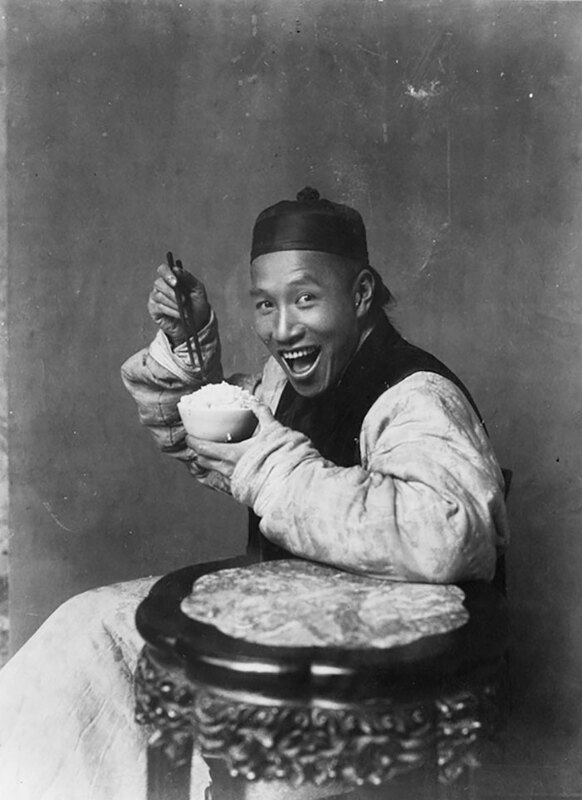 So it’s probably not that surprising that when a photo of a Chinese man with a big toothy grin, which was taken in the early 1900’s, has surfaced people began doubting its authenticity. The photo was taken during Jacob H. Schiff Chinese expedition when a young German scholar Berthold Laufer was sent to China to investigate the foreign culture. During the 3 years long expedition Laufer gathered 143 photographs, however, there is no information on how he acquired them because there is no evidence that he took the photos himself. There is also no explanation who is the Chinese man in the photo and why he decided to strike a pose like that. However, some people speculate that when a man was asked to pose for a photo, he wasn’t aware of a western tradition to keep s serious face during the process. For around 100 years since the photography was invented, smiling was a rare occurrence. It only started to become the norm In the late 1920s. You may wonder how this sort of tradition was born. Well, there several explanations. Some people argue that poor dental hygiene led people to smile less. And while most people could afford to have their photo taken probably once per lifetime, they didn’t want to go down in history by showing a toothless grin. Other’s say that the time it took to take a picture is to blame. However, it’s only partly true. While the very first cameras did, in fact, had a very long exposure time, some of which lasted around 8 hours, things swiftly changed. By the 1850’s and 60’s the exposure time was shortened from hours to seconds, so people didn’t have to stay in the same position for hours and capturing smiles became easier. But probably the most plausible reason is that people early photographers followed the footsteps of painters. 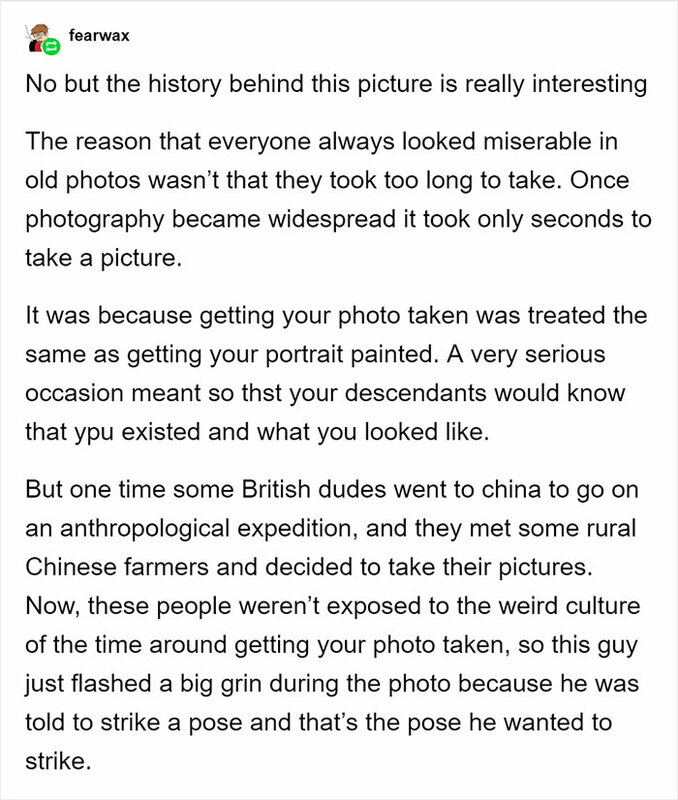 Back in the day, many portraits didn’t show smiling people, so it didn’t felt natural to allow people to smile in the photos too.